Home » Bouncy Box » Best Bouncy Boxes Of The Day! [ BEST ODDS OF WINNING! ] = UPDATED 10/1! Best Bouncy Boxes Of The Day! [ BEST ODDS OF WINNING! ] = UPDATED 10/1! HAPPY MONDAY! I feel like today is a good day to win some bouncy boxes! Don’t you? Keep in mind with this list these are the Bouncy Boxes with THE BEST Odds of winning so that means they will GO FAST. ALL of these were active as of 7:10 AM – EST. – Monday 10/!! Keep in mind that many, any or all of them may have ended by the time you read this – sorry – like I said they WILL GO FAST! The Bouncy Boxes with a “” next it will end the quickest. I recommend doing those 1st. ALL The BOUNCY’s on this list have LESS than a 1 in 1,000 Chance of winning! HURRY! BOUNCY BOX # 2: Every 600th Person will win, 8 winners. BOUNCY BOX # 3: Every 200th Person will win, 5 Winners. BOUNCY BOX #5: Every 800th Person will win, 2 winners. BOUNCY BOX #10: Every 1000th Person will win. BOUNCY BOX #11: Every 800th Person wins, 10 winners. BOUNCY BOX #12: Every 1000th Person will win. BOUNCY BOX #12: Every 900th Person Wins, 2 winners. BOUNCY BOX #14: Every 700th Person will win, 5 winners. BOUNCY BOX #15: Every 300th Person will win, 5 winners. BOUNCY BOX #16: Every 600th Person will win. BOUNCY BOX #18: Every 900th Person will win, 2 winners. BOUNCY BOX #19: Every 800th Person will win, 3 winners. BOUNCY BOX #20: Every 500th will win, 3 winners. BOUNCY BOX #21: Every 300th Person will win, 5 winners . BOUNCY BOX #22: Every 600th Person will win, 4 winners. BOUNCY BOX #23: Every 500th Person will win, 30 winners. BOUNCY BOX #24: Every 300th Person will win, 10 winners. BOUNCY BOX #25: Every 300th Person will win, 15 winners . BOUNCY BOX #30: Every 300th Person will win, 3 winners . 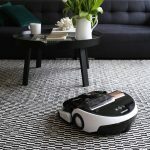 Win a Samsung Robot Vacuum Cleaner!